If you’ve yet to complete the training required to obtain BPS/EFPA Test User qualifications, check out our recent blog series on the benefits of doing so, beyond access to psychometric tests. Part 1 addresses lesser know benefits of Test User ability training, while Part 2 covers Test User personality. Selection by Design offers Test User training throughout the year. You can find our training schedule and prices (including discounts for students) here. 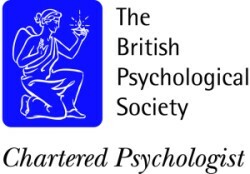 The BPS Division of Occupational Psychology annual conference was held 10-12 January in charming Stratford-upon-Avon. This year’s theme, 'Evolution Evolution +/or Revolution: Changing with the Times', focused on celebrating the value Occupational Psychologists offer. With no shortage of informative talks and engaging speakers, this was a great opportunity to find out about new and emerging trends in workplace psychology. Several of the presentations and workshops focused on psychometric assessments. I’d like to share with you some of the themes I noticed among these.